You want to be able to get in your car, pull out of the garage and head out for your daily routine. This is an event that occurs over and over and when something goes wrong it can cause a delay. The garage door is a huge part of the routine. Many people choose to use their garage door to get in and out of the house. 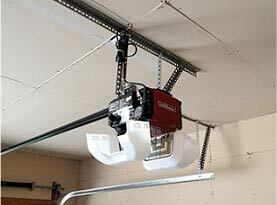 Most people expect the garage door to work without any trouble but there are some problems that can occur. The garage door is like any appliance or motorized and moving part and it needs to be cared for, tuned up and inspected for potential damage. When you do this the door will last and stay working well. One of the most common troubles that people have with their garage door is when they go to close it with the remote it will come back open or not close all the way down. There are some common reasons that this can occur and knowing what they are makes it easier to figure it out. There is Something in the Way of the Garage Door Sensors: Your garage door is set up to not just open and close no matter what but it has some safety features. There is a sensor that will tell the garage door that it should not close all the way if there is an object that is in the way. This safety feature has saved lives and prevented damage to objects that are in the path of the garage door. If you notice that your garage door will not close you want to look at the closing area. 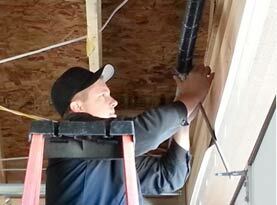 Where the garage door comes down to meet the floor you need to ensure that it is clear. This can be a bike, box or even a person that has crossed or blocked that path of the sensor. All you need to do is remove the item and try to shut the door again. 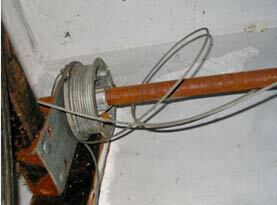 Damaged Garage Door Sensor: The other trouble you might come across is with the actual sensor. They are attached to the side of the garage door and placed about 12 inches above the ground. They are aligned perfectly so that they can see each other across the path. The sensor can be bumped slightly to cause the alignment to be adjusted. This will give the door a false alarm that something is in the way. You need to have the sensor readjusted and aligned in order for the door to close. Damaged Garage Door Tracks: The tracks are the channels that the garage door rollers will use to roll the door up and down. When these tracks are damaged or broken the roller has no way to smoothly open or close. This can cause the door to come back open if it meets some resistance. You will need to have the channels repaired or replaced to keep the door moving. Garage Door Inspections, Tune Up, Repairs & More in Aliante, Anthem, Desert Shores, Eldorado, Enterprise, Green Valley Ranch, Henderson, Inspirada, Mountain’s Edge, North LV, Paradise, Providence, Rhodes Ranch, Seven Hills, Silverado Ranch, Spring Valley, Summerlin, Sunrise Manor, The Lakes, Tuscany Village & Las Vegas Nevada. 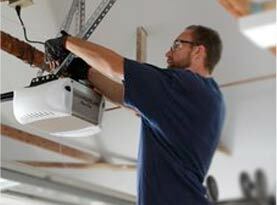 United Garage Doors offers expert residential garage door services. Contact us today.